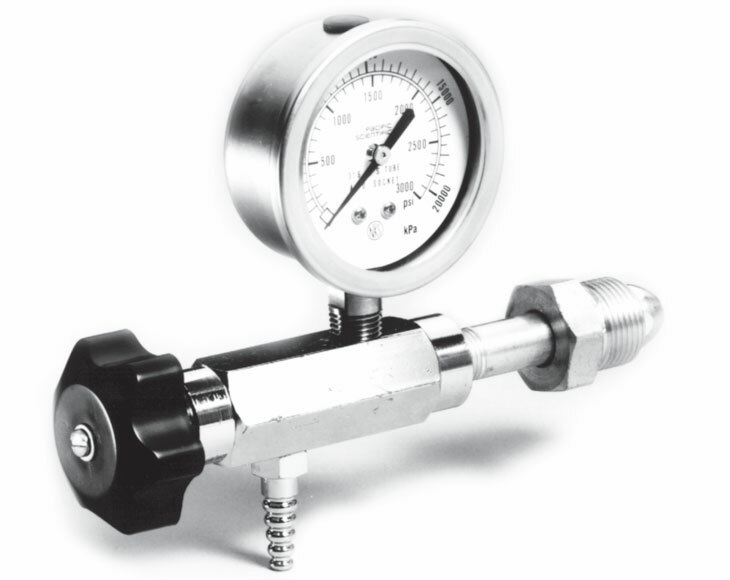 Manual controls are designed for direct connection to a compressed gas cylinder valve outlet. They provide a simple means of transferring the contents of a cylinder to another system or vessel. They DO NOT control pressure and should never be used without an operator in attendance at all times. Teflon® packing for smooth leak-free operation. Finger-tip control of flow from only a few cc per minute to very rapid withdrawal. This bracket allows either single stage or two stage regulators to be mounted or removed without removing the adjusting knob or resetting the delivery pressure provided the regulator is supplied by the factory with the panel mount nut installed. 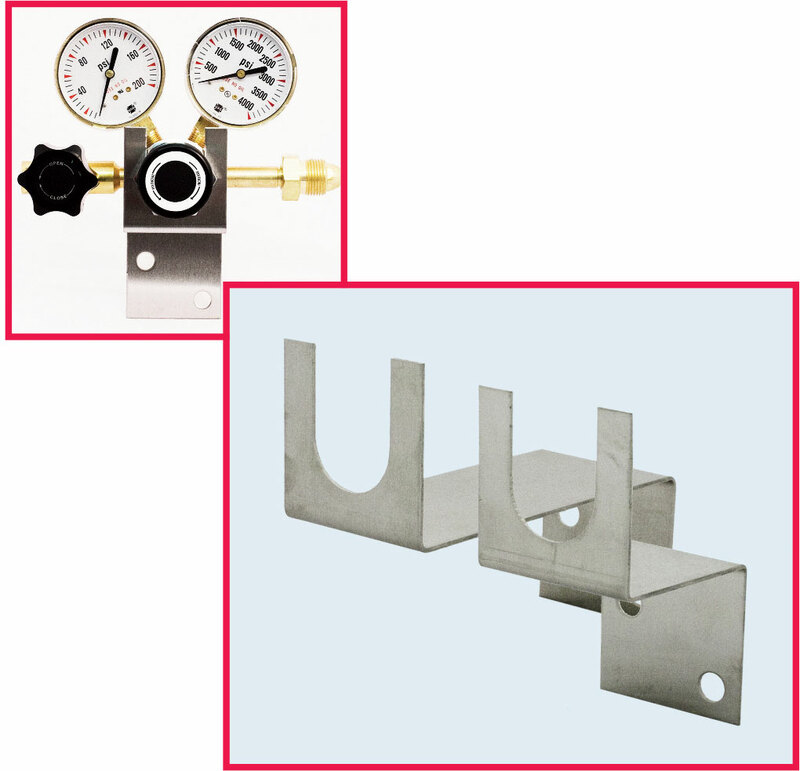 The bracket will accommodate any bar stock panel mountable regulator shown in this catalog.